who died Nov 2nd 1847. Aged 3 years 5 months. Was snatched away from our embrace, In early youth she died. 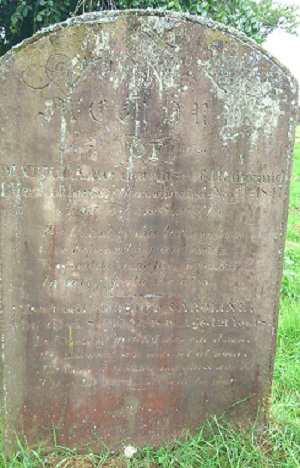 Also their daughter Caroline who died Sept 19th 1849 aged 21 years. My hour was come, my glass was run. It was the Lord – his will be done.